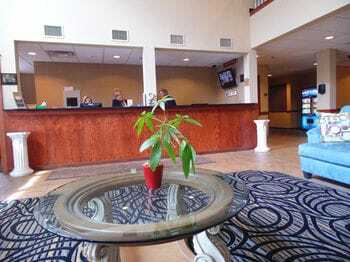 The Lakeside Resort Hotel & Conference Center address is 100 Clearview Drive, Houghton Lake, MI 48629. 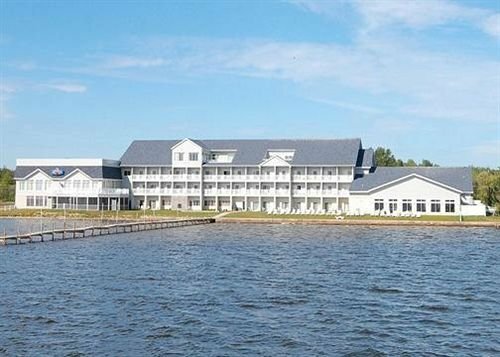 The hotel is situated on 2.65 acres with 430’ of sandy beach on Houghton Lake’s west shore. The property is easily accessible from US Highway 127 and State Highway 55. The resort is also accessible from the lake and offers boat dockage and mooring to its guests. 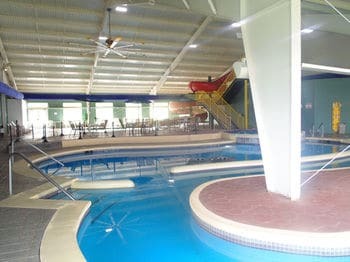 The Lakeside Resort Hotel & Conference Center is a full-service, waterfront resort hotel w/private beach and boat dock. 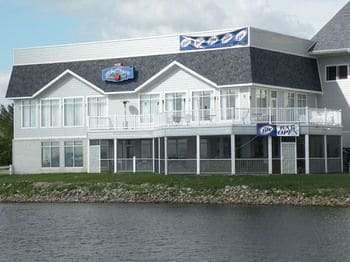 The 3-story, interior corridor hotel w/elevator was built in 2003 and features 70 well-appointed suites, 3-story indoor waterpark, restaurant/lounge, conference center/banquet facilities, business center, and fitness center. 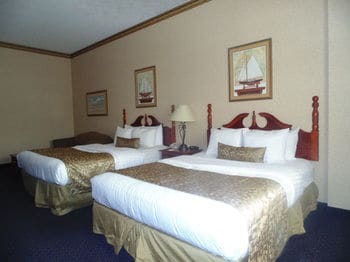 Guestroom amenities include electronic/magnetic key locks, premium king or queen bedding, flat screen TV w/cable/satellite/premium channels, multi-line telephones w/data ports, coffee maker, refrigerator, microwave, hairdryer, iron/ironing board and high-speed wireless Internet access. The Lakeside Resort Hotel & Conference Center was built in 2003. It is well-constructed and greatly benefits from its waterfront location. The hotel has an established base of business; however, it could generate more room revenue by affiliating with a franchise brand. The only franchise represented in the immediate area is Super 8 by Wyndham Hotels. Houghton Lake is Michigan’s largest inland lake and resort area. Its sparkling water covers 22,000 acres and borders 32 miles of shoreline. The lake is 10 miles long and 6 miles wide. Summer brings boaters and water skiers, and winter attracts snowmobilers, snowshoers, and ice-skaters, but fishing knows no season. Ice fishing for bluegill, crappie and walleye is popular. The annual Tip-UP Town USA winter festival held at the end of January on Houghton Lake draws 50,000+ attendees each weekend. Please do not use commas in the fields below.